Logbook or V5 Registration Document – What is it? Written by autoadvance on June 25, 2014 . Posted in Blog. Find out exactly what a Logbook (V5 Registration Document) is and why this piece of paper work is vital for the ownership of any car. A vehicle logbook (V5) is a legal document issued by the DVLA, outlining proof of ownership and specific vehicle details. Although it is also used to keep track of the registered keeper when the vehicle is sold on for new ownership. Both the seller and the buyer will have to fill out certain sections for both parties to prove that ownership has been changed which will allow the new owner to request an updated logbook. If you are looking to buy a second-hand car, always make sure the V5 logbook is present, has all the right details, and that the VIN (vehicle identification number) matches the vehicle you’re buying. If you don’t have a logbook for your vehicle, it is highly recommended that you apply online for replacement from the DVLA. You need to make a £25 payment to order the replacement logbook which can arrive in 5 working days. Not having a logbook will it make it impossible to tax and extremely difficult to sell your vehicle. If you have bought a vehicle with no logbook, then it could have been potentially stolen, written off, or illegal for road use. Always make sure you do a vehicle history check to confirm the car has not been reported stolen. If the seller claims that the logbook is with the DVLA, they can confirm this by handing over the green portion of the document. What part does a logbook play with a logbook loan? An Auto Advance logbook loan is a great way to get cash fast with no hidden fees or hassle. Our application takes 5 minutes and you can get a same day payout without having to find a guarantor. As we look at your current circumstances, we don’t let bad credit in the way since we use your vehicle as a form of security. This is known as collateral, which gives the lender legal possession of the vehicle until the V5 loan is fully repaid. This is very similar to how a mortgage works, it stops the borrower from selling their vehicle to avoid paying the loan back. No details are changed on the V5 logbook and it will be returned immediately after the loan is settled, although many of our happy customers choose to apply for a top-up loan after they make their repayments. So, if you have a V5 logbook and need some quick cash from a trusted lender, simply enter your vehicle registration on our online form or visit our homepage to see how much you could borrow today! Authorised and regulated by the Financial Conduct Authority under number 677922. 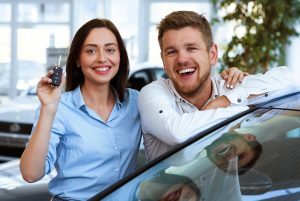 Auto Advance Logbook Loans is a trading name of DTW Associates Limited, registered in England and Wales under number 05305220. Registered address: Ashford House, 41-45 Church Road, Ashford, Middlesex, TW15 2TY. * Cash within hours: applies to enquiries that are submitted on working days before 2:30pm, whilst allowing for administration, underwriting and processing. However, we are able to process enquiries outside of regular working hours at customers' place of work or household. This is entirely dependant on customers' needs. © 2018 DTW ASSOCIATES LIMITED.